Every day there are more and more new pastel papers on the market. It is wonderful that we have so many options to choose from in this modern age. We are blessed as today’s artists! In the page about pastel surfaces , I have covered quite a few popular pastel papers. However, I also feel the need to introduce art boards and museum mat boards. The multimedia art board is very durable for all mediums and can be used for pastels, as well. The art board is beautiful, very durable and almost indestructible. However, it can break or chip. If you have not tried it yet, give it a shot to see if this will make your pastel paintings shine. Museum mat boards are durable and archival by nature. The term ″archival″ means it is made of a neutral pH and will not yellow or affect the quality of the pastels. That is why they are used primarily in matting and framing for works done on paper. They are very strong and come in three different plys: 2, 4 and 8; the latter is the strongest of all. The museum mat board, being acid-free, has slight tooth for pastels and yet it is great for oil pastels. I like to use it for light pastel works but if you have to build it heavily with more layers, you probably want to use them as a base for sanded or textured papers. I have bought a big sheet of mat board (preferably acid-free) from the art supply store or asked for scrap mat boards from the frame shops for a small fee and taken them home to make my own pastel papers. 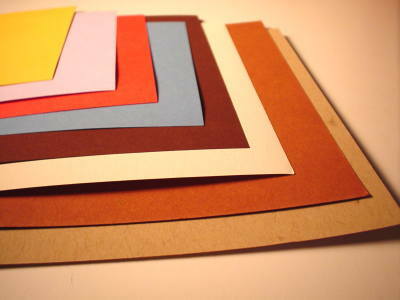 Think about the money you will save if you make a large number of pastel papers at home; they always come in handy. If you are starting out or just want to do a lot of experimenting with pastels, having a plentiful number of papers on hand can be convenient. I learned the following recipe from my fellow artists in the Southeastern Pastel Society. There are other/different versions of the recipe and, similar to cooking food, you always are free to modify the recipe and just simply be creative with it. Mix all of the ingredients together in a mixing bowl to reach a creamy consistence. If the mixture becomes too runny, add more gesso. Take the paint brush and brush the solution onto the mat board -- horizontally and then wait until the first layers dry up, apply the second layer vertically and repeat the same steps, until you have applied a total of four total layers. Then lay the paper on one side to dry. You may want to coat the other side of the paper, so it won’t warp.I find this is usually not a problem, if you place a heavy paper weight along the edge, tape or clamp the paper to a hard board. If you want to tone the paper with colors, just simply add some pastel pigments or acrylic paint of your choice into the mixture. I have tried adding water colors pigments into the mixture – but a large quantity is required to overcome the milky white solution. Many times it takes a lot of colors to show before they break into the white milky mixture. Sometimes I use alternative materials to make pastel surfaces. For example, I would use the heavy water color papers as surfaces with the mixtures. I also use the hard boards you can buy from the hardware store as a support. 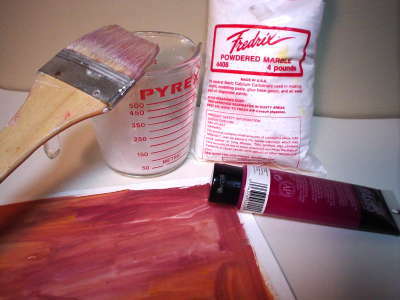 You see, it is pretty easy to make sanded paper yourself and worth the effort, since your soft pastels will really take on an extraordinary quality, unlike other ready-made pastel papers, not to mention you will get to control the gritty surfaces of the papers you make. When you apply pastels on sanded paper, be mindful of the fact that it will eat a lot of your pigments. 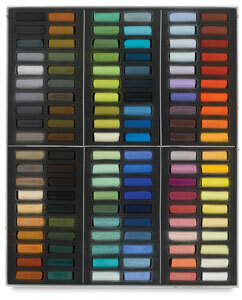 Start off your paintings with hard pastels or semi-hard pastels and save your soft pastels for later. Have fun with your home made pastel papers! Choose the most comprehensive and cost effective pastel starter kit. And they last! Click here to find an effective drawing tool for the accuracy you are after!